This concert will also be performed in Anacortes, WA on November 16, and in Victoria BC, on November 17. 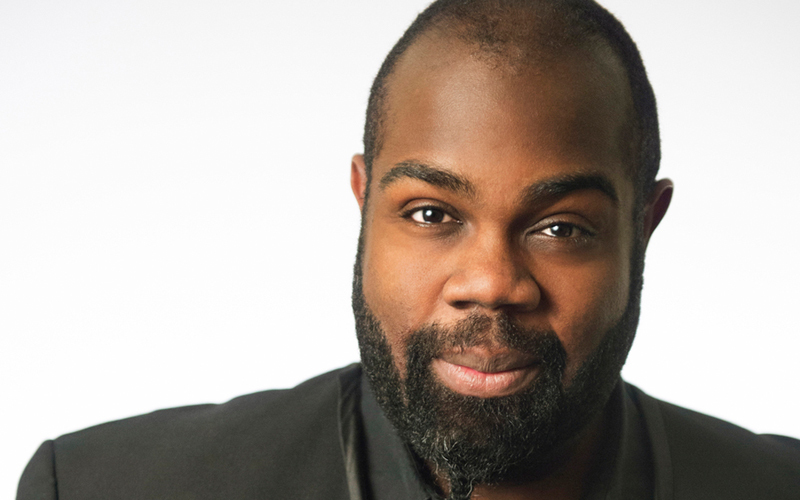 Luxuriate in the ravishing voice of Reginald Mobley singing George Frideric Handel’s Vedendo Amor (“Seeing Love”) and Mi palpita il cor (“My heart trembles”). These youthful Italian cantatas will be juxtaposed with joyful sonatas by Handel, Anna Bon, and Domenico Scarlatti. Handel composed his first masterpieces as a young person living in Rome in the circle of Arcangelo Corelli and his patrons. Many of these early works were chamber cantatas: dramatic vocal scenes, usually for a solo voice with continuo accompaniment, occasionally with obbligato instruments. Vedendo Amor was composed in 1707 to a text likely by Pietro Ottoboni, one of Handel’s Italian patrons. In it, Cupid is portrayed as a birdcatcher who lures the singer into his trap of love. Mi palpita il cor was composed in England, not long after Handel arrived in what would become his permanent adopted homeland. It is written in a similar style to Vedendo Amor, but with the addition of an obbligato flute. The Sonata in G Major for flute and continuo was likely composed in England around the same time and was first published as part of Handel’s opus one, a set of twelve sonatas for diverse instruments assembled by John Walsh from various sources. The most obvious influence on Handel’s early cantatas can be found in the work of Alessandro Scarlatti, who also enjoyed the patronage of Pietro Ottoboni as well as that of that of the abdicated Queen Christina of Sweden. The elder Scarlatti composed hundreds of chamber cantatas which provided plenty of examples for the young Handel to study. Alessandro’s son Domenico, an exact contemporary of Handel, began his career following in his father’s footsteps but ultimately broke away to create something entirely new. Whereas Domenico’s vocal works are unremarkable, his more than 550 keyboard sonatas are unlike anything that had been written before and remain startlingly fresh today. In Rome Handel would have been acquainted with the Venetian composer Antonio Caldara,yet another of Ottoboni’s protégés. Later Caldara would secure a post at the Imperial court in Vienna where he would continue composing in the Italian style just as Handel would in London. Few women composers are remembered from the time of Handel. Some rare examples of late Baroque chamber music by a woman survive in the work of the teen-aged Anna Bon. A product of the Venetian Ospedale della Pieta (of Vivaldi fame), she published six flute sonatas in 1756 and dedicated them to the Margrave of Brandenburg at whose court she served as “Virtuosa da Camera.” She also published six harpsichord sonatas and six chamber divertimenti before disappearing into history.